An open casket at a wake or viewing is an opportunity for loved ones to say farewell to someone who has died. It can be comforting for family and friends to see the body one final time before burial or cremation. 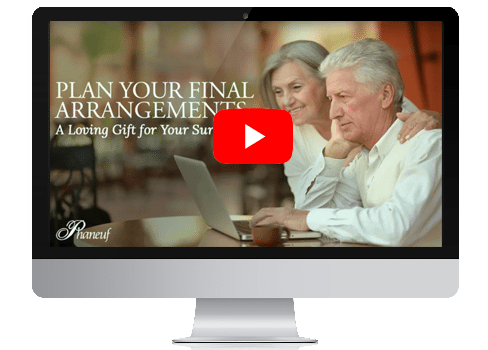 Discussing an open casket is one of the first things funeral directors at Phaneuf Funeral Homes and Crematorium broach with the family when making funeral arrangements. One of the most important aspects of having an open casket is the availability of recent photos of the deceased, so the cosmetologist has a solid reference for the makeup and hair. Certified Funeral Service Practitioner Roger L. Gosselin said creating a natural look is very important when preparing the body for an open casket. Over-the-counter makeup can be used, though cosmetologists that prepare the body generally have their own makeup kits. Family members can provide specific shades of lipstick or eye makeup to ensure their loved one will look as they typically did every day. Gosselin has been a funeral director with Phaneuf since 1995 and he currently teaches at FINE Mortuary College. The embalming process can sometimes alter the skin’s appearance, Gosselin said, so again, having reference photos is very important. A natural-looking base makeup is applied so the body does not appear washed out. Base makeup is also applied to the hands. Time is also of the essence when considering an open casket. The length of time between the death and the service as well as the embalming process can cause the skin to jaundice, giving it an unnatural yellow tone. This is not uncommon, and Gosselin said utilizing a thicker base coat of makeup can help. Other times, he will suggest a closed casket, as having the body look unnatural can be upsetting to loved ones, and leave a painful memory. Gosselin said there are times when a family does not want an open casket viewing, but the body is still prepared with makeup and hairstyling. Family members can see the prepared body and opt to change their minds if their loved one looks better and more-natural than they anticipated. Online funeral arrangements can simplify the process of having an open casket. If the funeral home already has reference photos as well as the wishes of attire, hairstyle and makeup for the open casket, it could ease the stress of the family in making decisions while grieving. Personalizing the open casket is not uncommon, and something that can be discussed during a funeral planning meeting. Gosselin said he has seen avid hunters have a shotgun or fishing pole in their casket. Veterans of military service are often buried with the medals they earned in service. “If they liked a nip,” Gosselin added that some family members or friends will place a full bottle of whiskey or liquor into the casket. Attire is not stringent. While suits and dresses are common, it’s not unheard of for an avid fisherman to be buried in his waders. The biggest driver should be that the open casket is comforting for the mourners at the service. Gosselin said that the family can also determine if they want jewelry such as wedding bands to be buried with the body or removed before burial, so the mementos can be preserved and passed to the next generation. Watch a video of one of our recent pre-planning seminars to learn more about your pre-planning options. The Big Book – Do You Have One?